Is Valkyrie Monetization coming to EVE Online? 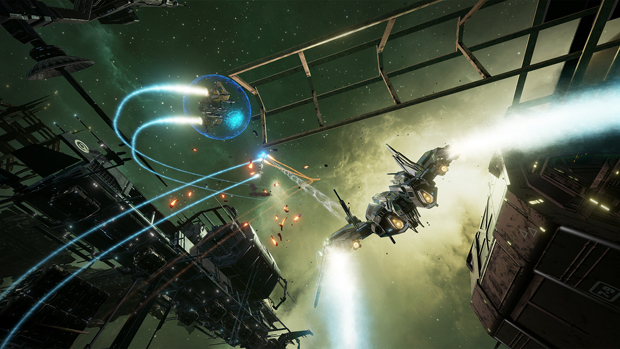 The news broke in October that CCP had selected Aria Systems’ active monetization platform for Valkyrie, launching in 2016. The Aria platform boasts a powerful array of monetization features and, in keeping with CCP’s ethos, it is a system which is designed for the future and unlimited growth. Valkyrie’s launch will benefit from all of the features and services that Aria offers. This will be rolled out across the entire games portfolio. Cloud based billing is something new for CCP, much as VR is a new field for them too. Valkyrie has so far seen glowing previews across the industry, including here on CZ by Danikov. The Oculus launch price has seen some criticism from many media outlets and gamers, but CCP is set to profit well from the launch with Oculus. Valkyrie will also be available on the Playstation VR when released. With CCP gearing up with big plans for growth in 2016, what does this mean for CCP and the community? What is Aria Systems’ Active Monetization? “Aria Systems, which helps enterprises grow recurring revenue, today announced that CCP Games, a leading independent game developer, has chosen Aria’s monetization platform to gain business agility and accelerate product launch time for new game releases. ‘We are in a highly competitive industry and Aria will help us forge close relationships with our players, ensuring accurate billing and enabling us the agility to launch new games more quickly,’ said Höskuldur Sigurðarson, Senior Producer at CCP Games. Although this press release is directly relating to Valkyrie, it does mention that CCP will use Aria to monetize their entire portfolio. On review of the features of Aria Systems it looks like the perfect platform for Valkyrie when you consider the game will be a new product. The Aria monetization platform comes with powerful options of how to handle payments across all platforms, including cloud-based technology. This requires no coding, can be done fast and efficiently, and will enable CCP to continue as a developer. “With Aria you can monetize anything and everything, from content to APIs, QR codes to creative services, publishing to social media apps, cars to fleet usage, and MRI machines to PaaS and IaaS offerings. Aria makes it easy to monetize any type of content, product, service, device, software, XaaS platform, IoT service, and more. What does this mean for CCP Games? If Aria is as powerful as they boast, CCP will be able to integrate all their payment gateways into one. CCP’s target market could easily be anyone, anywhere, at any time of the day, using any number of different platforms and currencies. The ability to manage all of CCP’s payments under one system is clearly something CCP evaluated when they selected Aria Systems. We already understand monthly subscription fees, and have an active Aurum market in EVE Online for ship SKINs and vanity items. These markets are active in both ISK and AUR. When the Skillpoint Extractors (SPE) make it into the game, what would be the best pricing model to use? Currently, we have only a few options open to us, but with Aria, this changes drastically. What kind of in-game purchases might a player make inside Valkyrie? Almost any feature can be monetized into microtransactions (£1-9 range) but given how much the Oculus pre-orders cost, could this be an entirely different, far more affluent customer that CCP is targeting? These in-game transactions could be activating a ‘premium’ account, buying ship skins, buying new mission campaigns, or cash-only items. Who wouldn’t pay to have Morgan Freeman’s voice for their ship’s computer? Aria could manage all this for CCP and more. Anything CCP can make can be monetized. Could this have been related to the delay in the new EVE store? Microtransactions are most likely to be the model of Valkyrie, and Aria has the power to do this for CCP, freeing up more time to create more asset rich environments. Höskuldur Sigurðarson is quoted in the press release that Aria is “enabling us the agility to launch new games more quickly”, which is not reassuring for our hopes that more developer time can be dedicated to CCP’s current games. Managing payments from global customers on different platforms can now be done easier for CCP in a cloud environment. This can only improve what CCP can offer its players. Höskuldur Sigurðarson has said that Aria will help in “ensuring accurate billing” which could mean cross game, multi-platform themed events and promotions. They will most definitely be turning any success from Valkyrie into developing more games it seems. 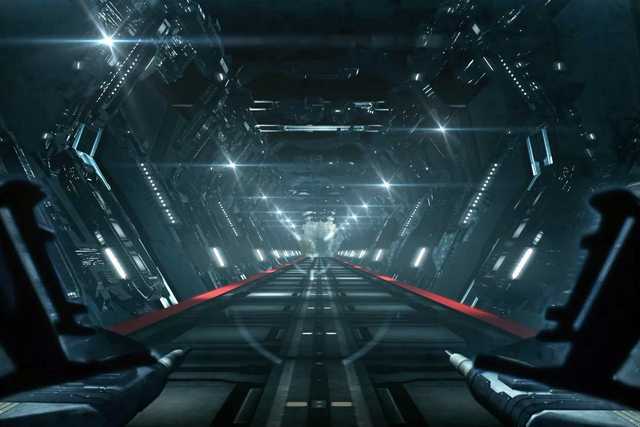 In November CCP announced it had raised $30mil to bolster VR development efforts. Part of this deal included adding major shareholders to the company, and members to the board of directors. Then in December 2015 CCP announced Maria Sayans had joined the team as the recently created Chief Customer Officer. There are a few vacancies currently posted on the CCP jobsite, including two for Senior Producers. They are identical in description except for their locations; both are new roles with the intent of building a team to deliver a high quality game. Expect more job opportunities posted this year. If microtransactions work for Valkyrie, could they work in EVE Online? Would you pay £5 to activate your super character subscription for 48hrs to defend your capital then let it go – or extend to a full month? That could work, but paying for new modules and refitting your ship in space, creating a pay-to-win scenario, is probably never going to be accepted by EVE online players. Can you imagine someone paying to remove their weapons refitting timer immediately? The long standing players in EVE Online are now adults, many with enough in-game income to not need to pay for a subscription any more. These players are probably active in the PLEX market and use that to subsidize their ISK instead of grinding for it. They most likely have a job. Maybe 1.5 kids. They probably only play for a few hours at a time instead of all day. How CCP makes money from these players is with vanity market items and Aurum sales. Soon it will be from the sale of Skillpoint Extractors, which have no indication of being cheap (or any price for that matter so far). It will at least involve some of your real life wallet in order to get these items and you will probably be able to buy them in bulk as well. Players will have to accept, that features of Aria will be used in EVE Online, and not necessarily always for true microtransactions. Using Aria Systems, CCP could sell something like a new cosmetic item for your CQ, or the new SPE. It could do so much more than just that and tie in-game events together across each of their products under one cloud-billing system. Microtransactions are tiny, and should only be of a trivial nature in the universe of EVE Online. The SKINs when bought with Aurum in EVE are not microtransactions. What would £3.00 really buy you in EVE Online? Practically nothing for a developed player. Would it be so bad to pay £3.00 and have that ship SKIN right now, instead of an unbalanced Aurum/ISK calculation? Always providing value for customers is the target. It is not uncommon for games to include microtransactions as a revenue stream. Valkyrie is the right platform for CCP to add this to their portfolio of revenue streams, and it will eventually help improve EVE Online. 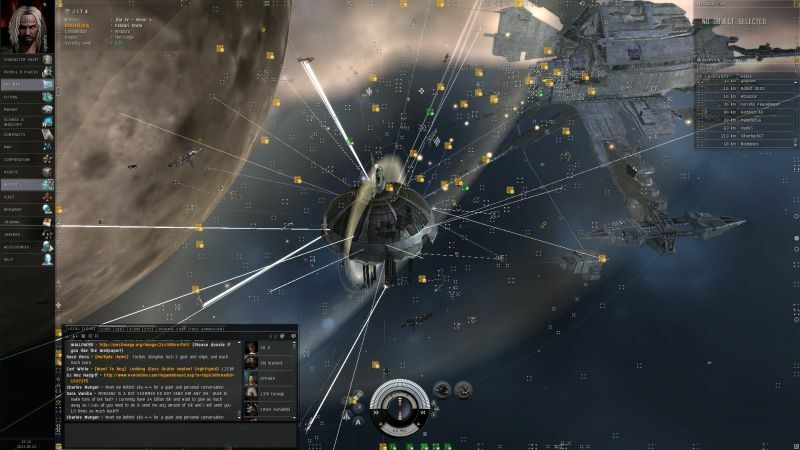 To some players in EVE Online, microtransactions are a genuine concern. The majority of players are more than happy with additional charged features as long as it is not pay-to-win, has no in-game advantage, and is purely cosmetic. As a long time player I have seen many changes over the years in PLEX and timecodes. I was here for monocle-gate. I have seen all iterations of the changing ship SKIN market, and the addition of the New Eden Store. What CCP can charge players for on top of our subscription now has grown into a successful ancillary revenue stream. CCP have always weathered the storm and reacted to their community. I do not think this will be any different. They will have to be careful with how they choose to approach their pricing in this new game, as positive reviews are clearly coming from many interested parties, and not just EVE players. The future of New Eden as we know it is changing. CCP are making large steps in bold directions. Content in-game is picking up pace. In-game events and null sov changes, skillpoint trading, and Citadel plans are all in action to hugely change the landscape. CCP are developing for the future, and this new partnership with Aria powering some of their revenue stream can bring many benefits. The innovative nature of CCP and the power of Aria can lead your imagination into some interesting places. CCP’s entire portfolio of games will eventually use Aria according to the press release, but this is not a dev blog. Aria will launch with Valkyrie in 2016, and no official statement has been made by CCP as of yet. The powerful features of Aria go far beyond just microtransactions, and CCP can benefit from many of these features when used across all of their products. Even your monthly sub might be handled by Aria. Perhaps microtransactions will come eventually, but this is news about growth and the future for all of us, players and company. As of now, this does not affect EVE Online. CCP is firmly focused on all of its products, and work continues on EVE Online as well as other brand-new products. EVE Online will always be the flagship of CCP, and they realise that the community are ambassadors of the game. EVE is not dying and CCP continues to look ahead, this new investment in the Aria System platform is part of the future to come.